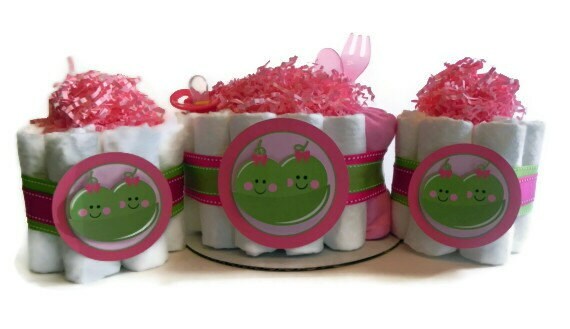 These adorable diaper cakes will make the perfect Baby Shower decorations and centerpieces at a Twin Peas in a Pod Baby Shower! 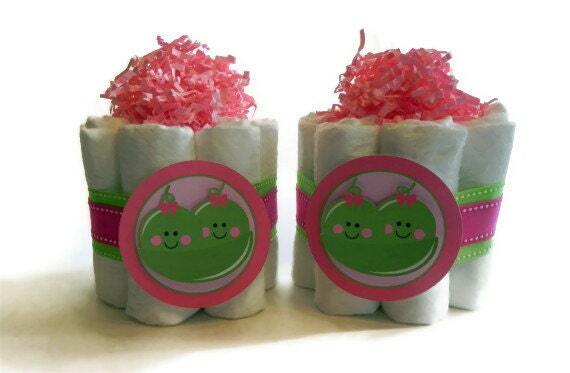 Each Diaper Cake is handcrafted, and made with TLC in the BabyBinkz studio! 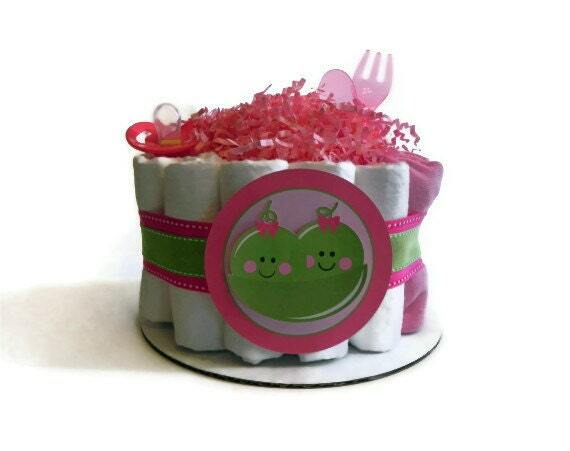 All diaper cakes are wrapped in tulle before shipping.